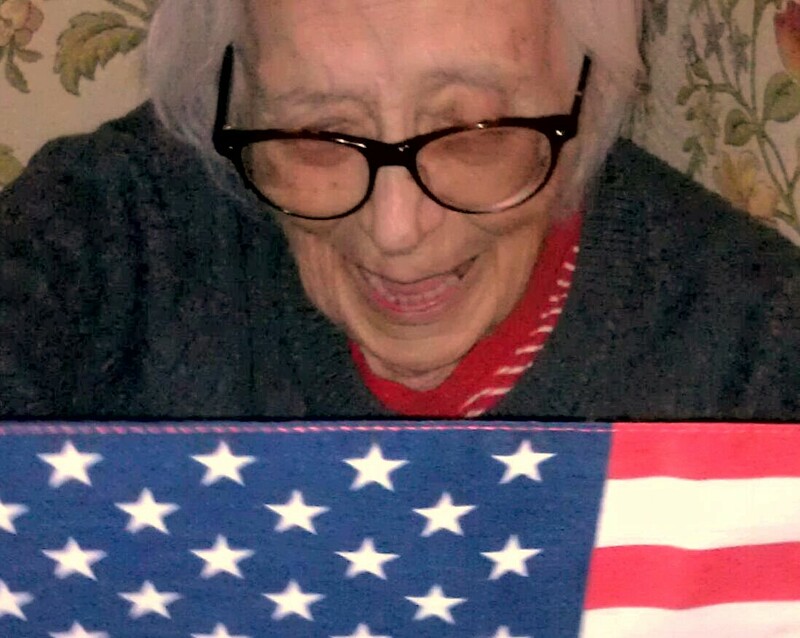 Mom’s showing her true colors and at almost 93, still bleeds red, white and blue. It is amazing when you think that she has voted in 17 general elections and her first vote was for Franklin D. Roosevelt to serve a third term. Her last vote was for Obama four years ago, and when I say last, I mean her last, because she will be sitting this one out. I pulled a postcard addressed to mom out of the mailbox a couple of days ago and proudly showed it to everyone I could. 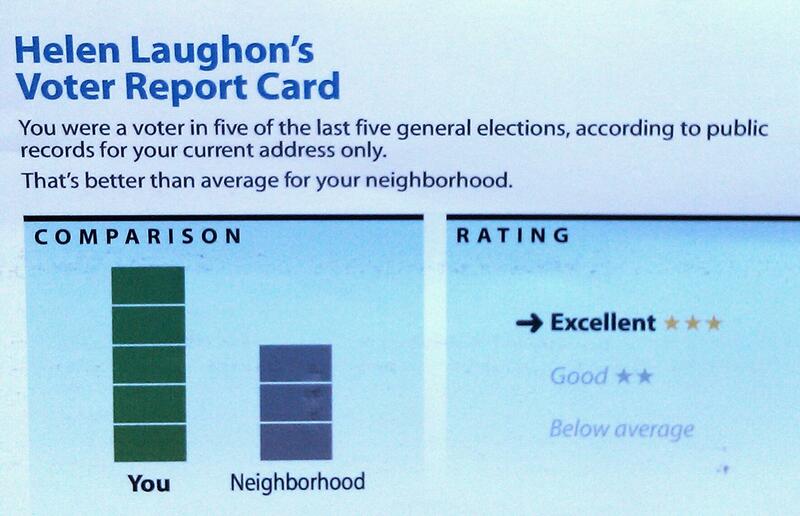 It compares mom’s voting record in the last five general elections with others in her neighborhood, and you can see she received the highest mark. I wish the organization that sent the postcard would have gone back in the public records far enough to add the other 12 general elections mom voted in. She might have won a trip to Disney World! So, today, I will be casting my vote in mom’s honor as well as to all of you who consistently exercise your right to vote. As long as you vote, and vote for topnotch, whoever that is, the red, white and blue will continue to fly above all others, it’s a gift of freedom to honor, cherish, protect and behold. A Side Note: Mom’s home was built in 1796 which means it has been on this earth for every general election since our second president, John Adams! No telling how many votes have been cast from folks who lived in this home. I know mom, dad and my sister, Nel, sure did cast their fair share. Posted in aging parent, dementia, family, humor, life, love, personal and tagged America, caregiver, caregiving, elderly parent, elections, My 91 Year Old Mom, vote. Bookmark the permalink. You go Helen!!!! Helen, Nel and Dr. Laughon had a wonderful influence on me when it came to love of country. I took my first trip to Washington with all of them. It was a wonderful evening and the lights in the city were beautiful. It was late so none of the monuments were open. That did not stop them from showing all of them to me. At each one I would run up the steps and look . When I got back in the car I would get a history lesson. It is an evening I will not forget. Helen has such a love of country and I am blessed she passed that on to me. Happy Election Day, Helen!!!!! Her record of voting gave me chills! My 82 year old Mom and I were talking recently about the importance of voting and such and she told me the story of the year their road washed away — on the farm, 2 miles from the highway, that wasn’t uncommon. She and Dad road the front end loader tractor to the highway in sleeting rain (no cab cover) to meet his brother/sister in law for a ride to go vote. She’d never not vote and I won’t either, God willing. This was my 2nd Presidential election to vote in, having become a citizen in 2008. It was just as exciting, just as invigorating, just as wonderful as that very first time .. I saw the best of America standing in that line today.